Spend the day learning intermediate to advanced trout fishing techniques with Brian Flechsig on the Mad River. Spend a day on the water with the guides that fish there! 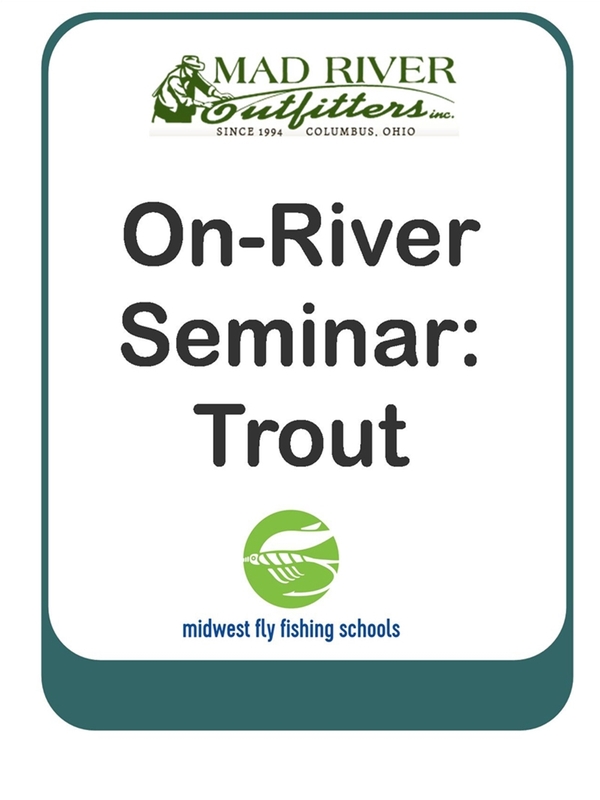 These seminars are geared towards intermediate to advanced fly fishing for trout and smallmouth bass in streams, largemouth bass in lakes and carp in both. They are a full-day of intensive learning- half-day classroom and half-day on the water with techniques and principles applied to actual fishing situations. A great way to learn more about the sport and about local waters. Highly Recommended beforehand is one of our FREE beginners programs and a some basic fly casting skills. Rod and reel set-up and some basic equipment is required. These classes should be viewed as intermediate to advanced and not geared towards "rank beginners". Lunch is not included, please pack one for yourself and bring along. * A detailed listing of equipment as per the type of school (trout, bass/stream, lake etc.) will be sent to you upon making a reservation. Topics covered in each school will be fairly extensive. Bring a notepad!